Clipper Apple and Ginger Infusion is made from the finest organic ingredients. 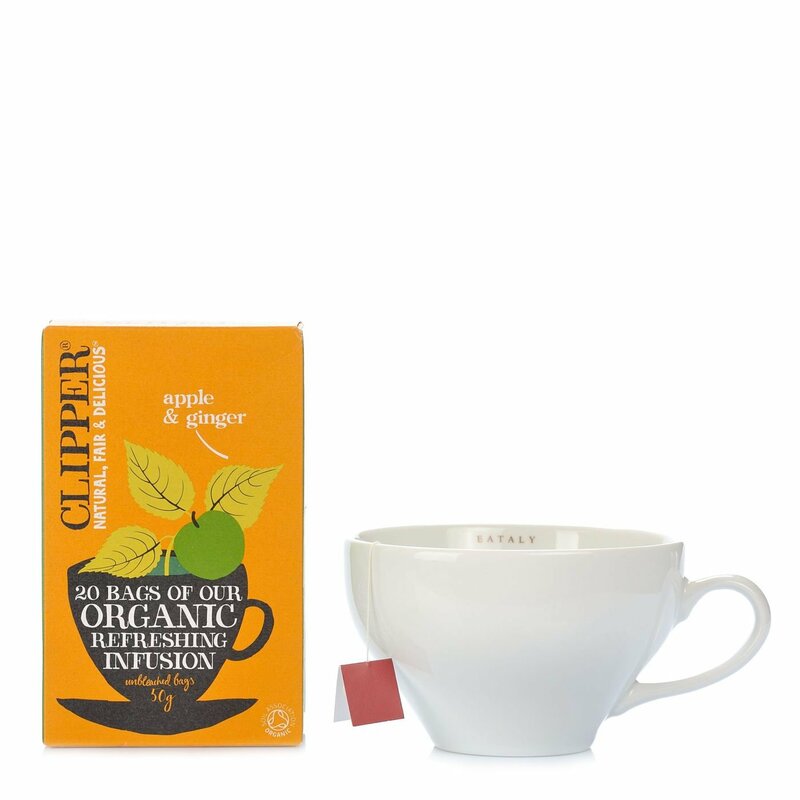 A delicious infusion bringing together the fruity sweet flavour of apple with the spicy warmth of ginger. The ideal infusion for anyone looking for a fresh, fruity flavour. Excellent warm, but also pleasantly refreshing when served cold. Ingredients rose hip*, rooibos*, nettle*, ginger root* (14%), liquorice root* (Glycyrrhiza glabra), hibiscus*, natural flavourings, apple* (3%), pineapple*. Contains liquorice - people suffering from hypertension should avoid excessive consumption. For more information on product labels, please contact our Customer Service department. The information on the labels of the products may vary for reasons beyond our control, therefore, there may be discrepancies between the information on the site and that on the products delivered. Please always check the information on the product before consumption or use.